As the most used and abused drug among American teens, alcohol routinely puts teens at risk for alcohol addictions as well as related illnesses and injuries, some resulting in deaths. 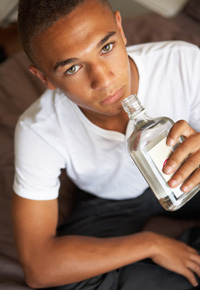 According to the Center for Disease Control, underage drinking is a public health concern that puts many at risk. 10% had driven after drinking alcohol. 24% admitted to binge drinking. 28% had knowingly ridden with an intoxicated driver. 42% had drunk alcohol in some form. According to another survey unbound by a time frame, 72% of high school seniors and 37% of 8th students had at least experimented with alcohol. When you combine the frequency of underage drinking with the fact that underage drinkers typically drink more on each occasion than legal drinkers, it’s no surprise that over 90% of the alcohol consumed by underage persons is part of binge drinking. The combination of inexperience, adolescent foolishness, and binging is often devastating, and sometimes fatal. According to a 2008 study, nearly 200,000 emergency visits by those under 21 took place due to conditions or injuries related to alcohol consumption. Many of the results listed above have lifelong consequences. Of course, topping that list would be those who die from alcohol poisoning, homicide, or suicide. Even those who survive their teenage drinking binges may have far-reaching consequences plaguing them throughout adulthood. Memory problems and issues with physical growth or mental or sexual development can affect young people for years after their youthful drinking phase. For many, though, that phase becomes a lifestyle: Those who start drinking before age 15 are five times more likely (than those who wait until they’re legal) to abuse alcohol or become addicted to it as adults. 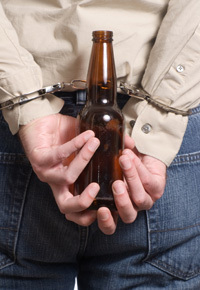 Many parents fail to realize the many severe problems that stem from underage drinking. Sadly, even those who do realize the problems frequently fail to take steps to protect their teenage children from those consequences. Photo credits: Top & Middle © Monkey Business / Fotolia. Bottom © dragon_fang / Fotolia. Has your teen daughter read or seen Fifty Shades of Grey? Have you? If not, have either of you wanted to? Besides curiosity and wanting to be in-the-know about the popular novel and box office sensation, why do you have that desire? Maybe you don’t even know. Maybe all you’ve told yourself or your daughter is “no.” If you’re not sure, we hope to convince you that that is the right choice. Either way, we hope you’ll dig a little deeper and realize more fully the deeper issues lurking in our hearts, allowing you to appreciate God’s grace a little more. You don’t want to make it your favorite book or movie, but you’d like to at least have a first-hand opinion about it. Maybe you want to see it for yourself, just once, to make an informed decision. Those who counsel people with disturbed minds say it isn’t worth it, and God’s Word says there’s wisdom in “the multitude of counselors” (Proverbs 15:22). Although cocaine is not the most popular drug among teenagers, because it is such a dangerous and unpredictable drug, any cocaine use among the teenaged segment of the population is cause for distress. Statistics indicate that about six million people over the age of twelve have used cocaine at least once in the past year, and approximately one in twenty high school seniors have used cocaine in the past year. Even younger students have tried cocaine, with over three percent of 10th graders having used cocaine within the past year. Part of cocaine’s popularity is rooted in the fact that it can be taken in a number of ways: Cocaine is usually snorted, but it can also be injected or smoked. If you are worried that your child could be using cocaine, it’s important to learn more about the drug’s signs and symptoms. 2. The short term effects are obvious. If you think that your teen could be using cocaine, then look for the obvious signs and symptoms. The short term effects of cocaine- that is, the effects that occur immediately after taking the drug- are rather distinct. You would be hard pressed to confuse the signs of a teen high on cocaine with the signs of a teen high on another drug like, for example, marijuana. Cocaine is a very powerful stimulant, and its effects include increased blood pressure, constricted blood vessels, and dilated pupils. Teens who use cocaine often report increased mental alertness, increased energy, decreased appetite, euphoria, a feeling of supremacy or invincibility, and increased body temperature. They also report more negative immediate effects, such as paranoia, restlessness, anxiety, and irritability. The high that teens get from snorting cocaine usually wears off in a short time period of 30 minutes to two hours, and during this time your teen is likely to be talk very quickly, sniff often, seem absentminded, lose track of their thoughts, and act very hyper. Also, because cocaine is so expensive, teen cocaine users often resort to stealing in order to finance their drug habit. 3. The long term effects are terrible. 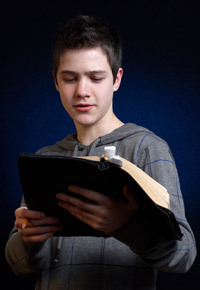 If you suspect that your teen is a cocaine user, it is vitally important that you intervene as soon as possible. Cocaine is one of the most highly addictive drugs available, and as such, it can be extremely difficult for your teen to stop using once their cocaine use has become habitual. Long term cocaine use can result in a huge number of serious medical problems, including an increased risk of seizures, strokes, respiratory problems, heart attacks, and brain damage. These long term side effects are in addition, of course, to the possible harm caused by incidental side effects like violent behavior, needle sharing (amongst teens who inject their cocaine), and unprotected sexual encounters. Cocaine use in teens is a major issue, one that concerned parents should take very seriously. If your son or daughter has exhibited the signs and symptoms of a cocaine habit, it is crucial that you address this problem immediately. Stopping cocaine use is a long and arduous process, one that will likely result in intense frustration and emotional pain, so do not attempt to go it alone. Instead, seek professional help.